Comparative Analysis of Anticipated Pain Versus Experienced Pain in Patients Undergoing Office Vasectomy. Advances in vasectomy technique have minimized patient discomfort; however fear of pain remains a primary concern. The Urologist Dr. Furr at the University of Oklahoma just published the clinical research article on the pain related to vasectomy in Canadian J Urol. (2017 Apr;24(2):8744-8748), the research was to determine how the anticipation of pain associated with vasectomy compares with patient’s actual intraoperative experienced pain levels. A cohort of 172 patients undergoing clinic vasectomy was analyzed, and the result indicated that the actual pain experienced by a patient is significantly lower than their anticipation of vasectomy pain. This clinic research data will aid clinicians in appropriately counseling patients and minimizing pre-procedural anxiety. Modern no-scalpel vasectomy is a minimally invasive office procedure that performed near painlessly under local anesthesia. Fear of pain is still the number one reason for men in Minnesota to resist getting a vasectomy because they don’t want to have surgery near their genital organs. A good consultation before vasectomy the helps to relieve anxiety. 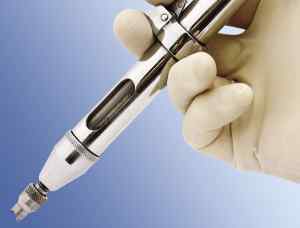 Conventional needle anesthesia in vasectomy involves the use of a 27 gauge needle for local anesthesia. Dr. Shu applies local anesthesia with a special spray applicator without the use of needles. A spray applicator (MadaJet®) delivers a stream of anesthetic so fine that it penetrates the skin and diffuses to a depth of about 3/16 of an inch, enough to surround and anesthetize each vas tube in turn as it is lifted into position beneath the skin, attaining a close to 100% efficacy rate with no need for supplemental anesthetic. 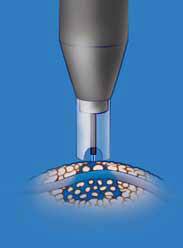 Dr. Shu uses the modern no-scalpel technique, exposing each vas in turn through a tiny opening in the front scrotal wall without using scalpel, the trauma in the scrotum is so minimal that significantly reduces the pain during the procedure and post-operative period. The patients always states right after their vasectomy, “it is amazing”, “Wow, much better than I thought”, “I worried for nothing”, “It is truly a easy vasectomy”, “easy vasectomy which is understated”, “it is almost painless”.